Belvoir CC Under 11s completed the double when they followed up their league play-off win with victory in the Newark and District Cup Final. It was a fitting way to cap a prolific season for the club’s juniors’ section. The U10s topped their league table, while the U13s reached the league play-off final and the U15s won their league comfortably. The under 11s faced Notts village side Caythorpe in the cup, and having lost the toss were put into bat first. 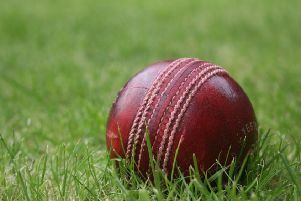 The Belvoir youngsters gradually accumulated their runs before accelerating the run rate with the loss of only two wickets, ending their 16 overs on 98-2. Caythorpe made a steady start to their reply, but lost regular wickets to tight accurate bowling backed up by athletic fielding. They never got close enough as Belvoir kept up the pressure to end their season with a second trophy.